Bert Carson - writer: Do You Know How To Work A Zipper? I said, “Yep,” and motioned for him to come to me. He did so without hesitation, and together we figured out the problem and resolved it. 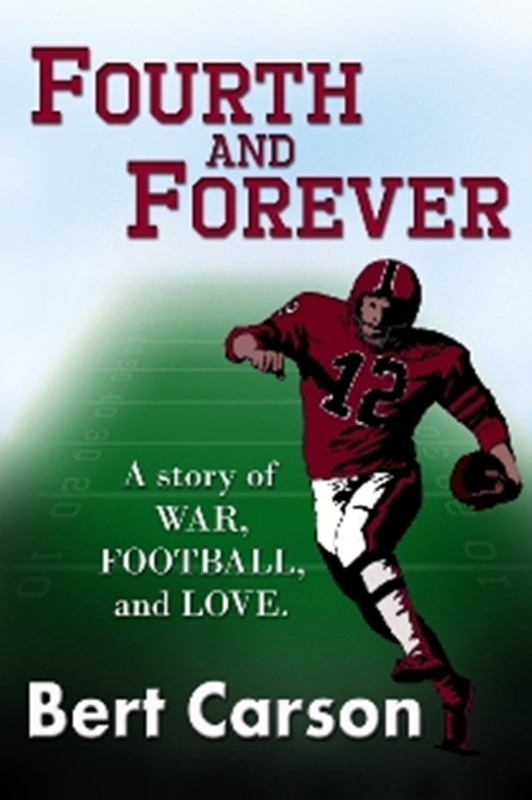 Twelve months ago, I finished writing Fourth and Forever, the story of a close knit family of three: Josh, the husband who happens to be a career Army helicopter pilot, Kathy, his high school sweetheart and wife, and Bobby, their son, a high school senior who has worked hard to become an outstanding football player. Thanks to the able proof-reading and editorial assistance of my wife, Christina, an accomplished writer, I declared the manuscript ready to publish. Well, almost ready. I needed a cover. I didn’t think that would be a problem. An acquaintance of ours does book covers professionally. Our friend said she had never done an eBook cover, but I convinced her to take a shot at it. The results were beautiful – a distant view of football team with a football helmet in the foreground. It was a beautiful cover, for a hardcover book, but not an eBook. 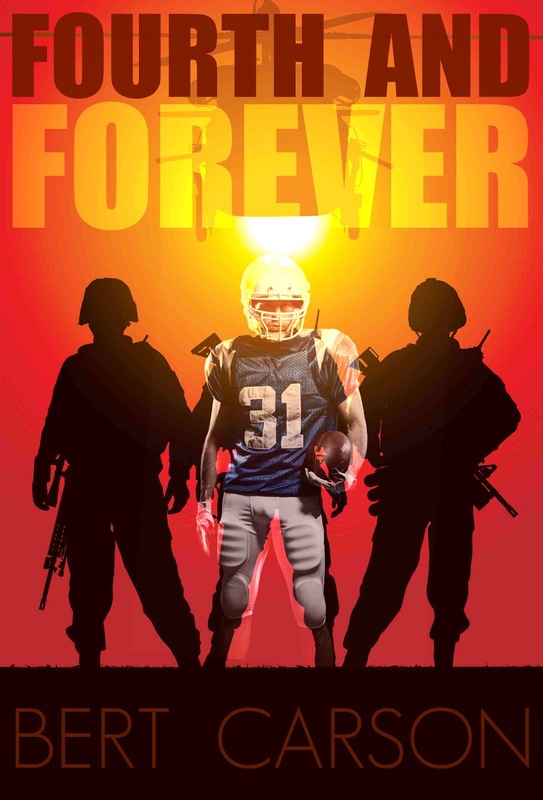 I didn’t realize that at the time, so I published Fourth and Forever with the beautiful cover. In three months, I sold less than a dozen copies, and I knew almost everyone who had purchased one. In July, I decided the cover was the cause of my nonexistent sales performance. 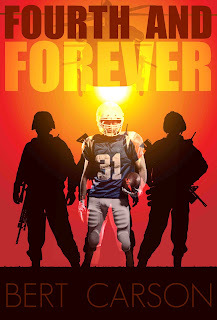 I found a copyright free graphic of a football player and asked our partner, Adrienne Wall, to use it to create a new cover. She did, and I replaced the beautiful cover with the new creation. Sales are up but not by much, and I know the change in covers has had nothing to do with it. Sales are up because I’m blogging more, and twittering more, and I’ve discovered Triberr, which has greatly expanded my blog reach. That means more people are hearing about me and out of curiosity some of them are buying my books. The beauty of Triberr is, not only are more people reading my blogs, I am reading more blogs. One of the blogs I’ve recently become a fan of is, The Writing Bomb by Jeff Bennington. 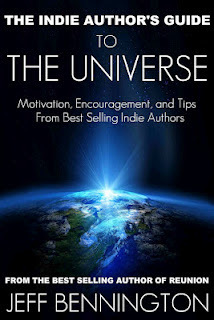 Jeff, a writer, blogger, and eBook marketing whiz, is on the verge of publishing a new book, an indie author self-help book, he calls The Indie Author’s Guide to the Universe. Most of Jeff’s recent blog posts have been excerpts from the guide. To make a long story short, Jeff said, “Let me read the book.” He did and then said, “Yep, I can work a zipper.” We made a deal, and he said, first, you need a new cover. 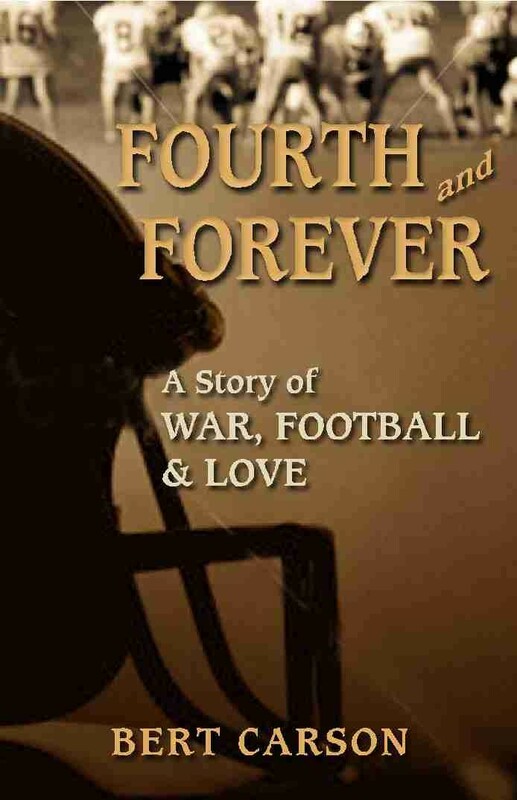 You’re book isn’t about football, or at least not just football. It’s about war, and veterans, and PTSD, and a whole lot more. Here’s the new cover. But the cover is just the beginning. Jeff gave me a step by step marketing plan, the details of which I cannot divulge without having to… you know the rest of that line. But I can tell you this, I’m going to follow every step, and with Jeff’s guidance, I’m going to learn to work a zipper, and in the process, I’m going to master eBook marketing and see Fourth and Forever become a best-seller. If your book isn’t selling the way you expected it to sell when you published it, contact Jeff Bennington – don’t wait a year – do it now - ask him if he knows how to work a zipper. He’ll know what you’re talking about, and I can tell you this, he does. I wish you all could have seen him in the day care with that little fellow who was watching him intently to see how to work a zipper. The two of them were dear. Nice. Thanks, Bert. I can work the book thing, but unfortunately still have problems with my fly. The book thing is the thing that matters. It will be exciting to follow your progress, Bert! Laura, You can be sure that I'll keep you posted.